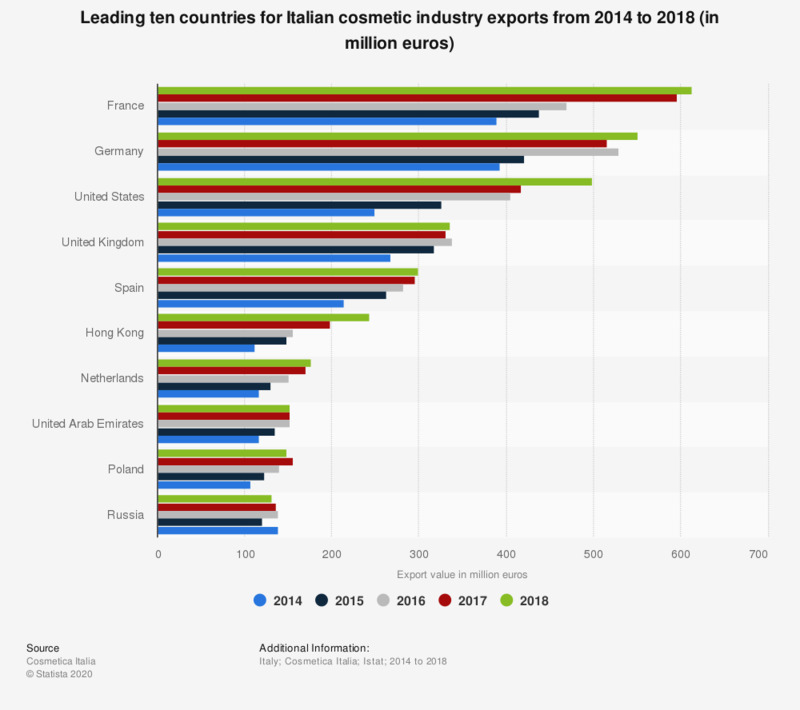 This statistic displays the leading ten countries for cosmetic industry exports from Italy from 2014 to 2018. As of 2018, France was the leading export market for Italian cosmetics with 566,8 million euros. Moreover, the value of exports to Germany rose from 393 million euros in 2014 to 512 million euros in 2018.